The Google Home Hub is now official. The smart display that features Google Assistant voice assistant was confirmed at Google’s Hardware event in October, and it comes in four different colors. Unlike the Amazon Echo Show, the device doesn’t have a camera and relies heavily on Nest smart home integration and YouTube functionalities as features. 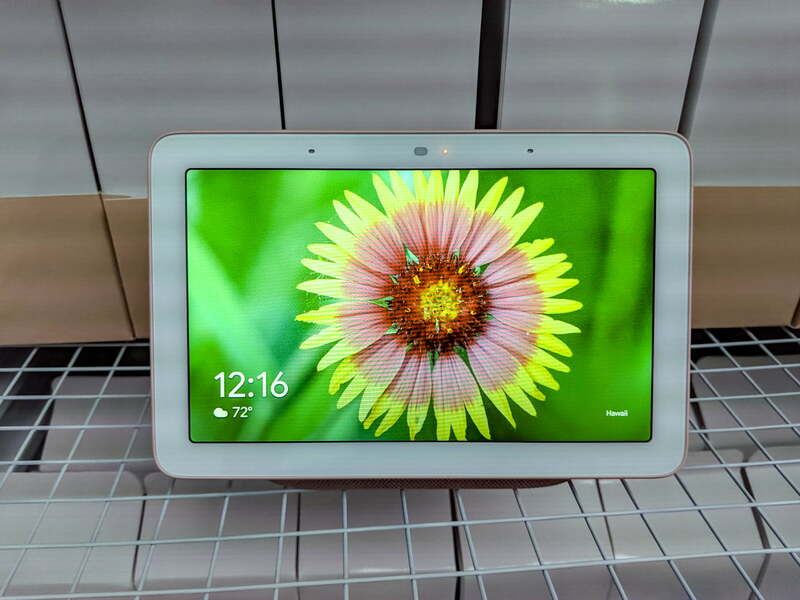 The device began shipping October 22 for $150, a price that is very competive when compared with the $230 Echo Show and Lenovo Smart Display, which starts at $199. It will ship on October 22. For our full impressions, check out our complete Google Home Hub review. 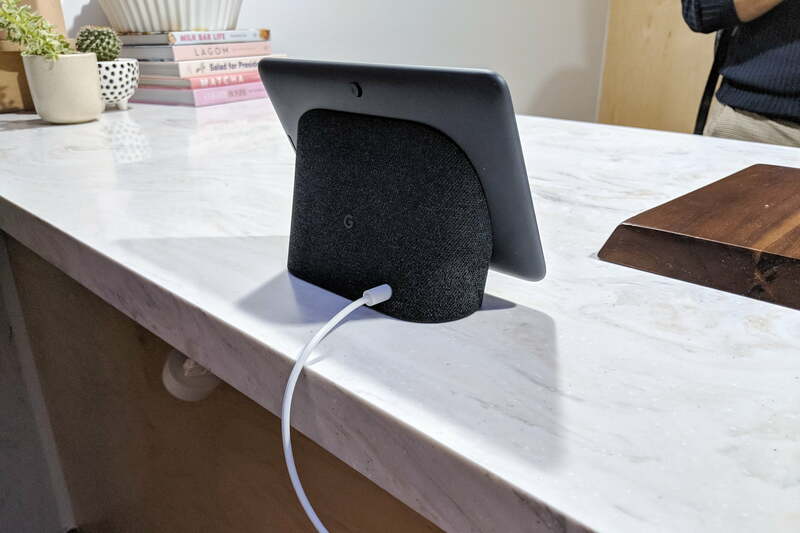 Like most smart speakers, the Google Home Hub handles a lot of everyday entertainment and productivity functions like issuing commands, making shopping lists, and placing audio calls to friends and businesses. Like other Google Assistant-supported devices, it uses a voice-matching function to identify separate users and deliver their calendar, commuting details, and reminders, which are augmented by the new screen visuals. More importantly, it will integrate seamlessly with Nest’s ecosystem of products, as well as Philips Hue lightbulbs and August smart locks, among others. 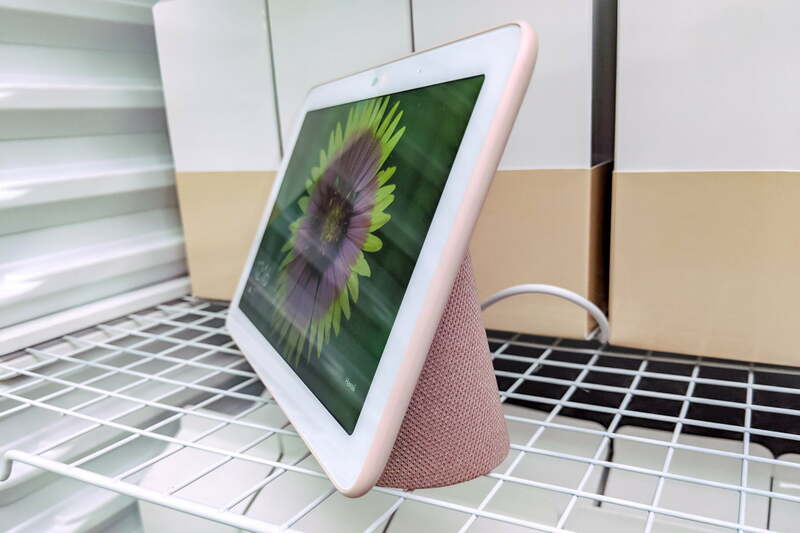 As with similar Google devices, the Google Home Hub supports more than 10,000 products across more than 1,000 popular brands. Those with a Nest Hello video doorbell will be able to answer the door using the Google Home Hub. The Hub will also allow access to Google photos, allowing users to enable “Live Albums” to create slideshows by identifying people that the user wants to see regularly, such as friends or family members. Users can also simply access albums on the fly with voice commands like, “Hey Google, show me my photos from New York City.” The HD display will also play videos from YouTube, and the Hub will come with free six months of a YouTube Premium subscription. It weighs about 17 ounces, and its dimensions run about 7 inches by 4.5 inches, with a surprisingly robust depth of 2.65 inches. It weighs the same as the standard Google Home, which means the engineers have been tinkering with its guts to make it lighter. There are two physical controls: A volume rocker and a privacy switch to turn off the microphone and stop the device from listening for “OK, Google” voice commands. It turns out the Google Home Hub will be available in four colors: chalk, charcoal, aqua, and sand (read: white, dark gray, light blue, and pink). A smart home dashboard called “Home View” means that Hub users can swipe down on the touchscreen to access every smart home gadget, such as lights, locks, plugs, thermostats, cameras, and speakers. It’s also available on the new Pixel 3 phone. Possibly the most interesting feature of the Home Hub is what it doesn’t have: A camera. In a week when Facebook unveiled its Portal and Portal+ smart speakers with cameras, which allow users to chat with Facebook friends, Google’s decision seems counterintuitive, but may prove to be a wise move, given that many consumers are concerned about privacy. Google officials said the lack of a camera was intentional for privacy reasons, so people feel comfortable placing it in a bedroom or even the bathroom. The nightlight feature may be especially attractive given the news that the device has a new feature called Ambient EQ, which uses a dedicated light sensor to fine-tune the color and brightness of the display. Whether in the bedroom, kitche,n or living room, the display will adjust its brightness in accordance with daytime sun or evening home lighting. When it’s time for bed, the Hub will also automatically dim the screen so users can sleep. Finally, Google is looking out for the family by consciously building in family-friendly filters for voice commands and content. In addition to a “downtime mode” that prevents it from interacting with anyone, other than alarms, the Hub also has parental control settings to block explicit content including images and audio content like lyrics in music. Updated October 9, 2018: Added details on the Google Home Hub revealed at the Google Hardware event.